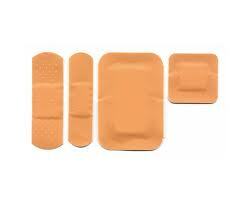 First Aid consumables are available to buy on our courses. We will always have kits available for you to buy on your course, but to guarantee we have enough you can contact us to order in advance and then collect it from your trainer or from our venue in Balham. 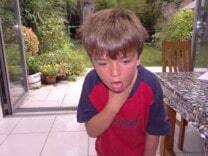 All products are inclusive of VAT. A professional soft bag first aid kit designed by a Paramedic First Aid trainer. 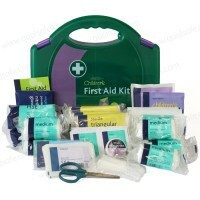 This kit contains some really useful extras that you don’t find in a basic first aid kit at exceptional value for money. 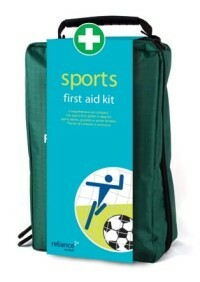 This sports first aid kit is ideal for sports teams, grounds or active families. 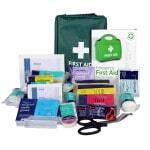 A truly superb and well thought-out kit to ensure you are equipped and ready should you need to use it. 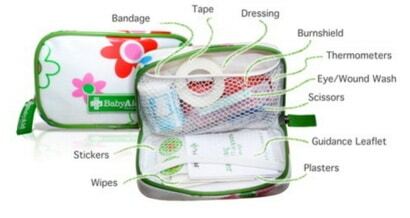 Ideal for your nappy bag or handbag to ensure you are well prepared for bumps, scrapes, burns, fevers…Baby Aid Compact contains 34 items and still has space for you to add some of your own. We have reconditioned versions of these extremely popular units for £649 plus VAT – these are great machines that have usually never been used, have been thoroughly checked and come with a 3 Year or 5 year warranty, depending on the one you choose. 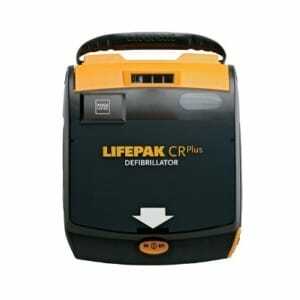 Lifepak CR plus defibrillator (3 year warranty) Semi or Fully Automatic or the Defibtech Lifeline Semi Auto (5 year warranty). Please contact us before your course if you would like to order an AED and you can collect it from your trainer on your course or collect it from our venue in Balham. It’s a fantastic kit – completely comprehensive and well put together and the carrying bag makes it really easy to use when we go away. My last kit has been well used on lots of minor occasions but really proved its worth when my son badly cut his foot on a razor shell on a beach in France (now I know exactly why they are called razor shells!) 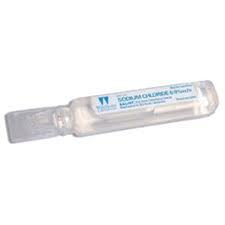 I can now retire the odd bits in tatty bag that I have been carrying around in favour of this new kit.